The Royal Garden decor is the modernized version of one of the most popular patterns of Herend Porcelain Manufactory, the more than 160 years old Victoria décor. Some of the most interesting facts about this unique pattern can be read below. The Email Victoria (EVICT) décor was introduced to the public in 2011 at the International Trade Fair in Frankfurt, Germany. The new pattern was created by some of the best Herend experts including Mr. László Szathmáry and Mr. Attila Müller in honour of the popular, 164 years old Victoria décor. The modern version of the classic Victoria décor depicts butterflies and peonies; it’s painted in two colours, green and turquoise. The green one’s (EVICT1) main colour is supported by yellow and lilac patterns; and the turquoise one’s (EVICT2) turquoise is supported by pink and purple colours. Short after its introduction the new décor became popular among porcelain enthusiasts. The EVICT décor’s new name is Royal Garden. It is painted on pots and plates in different sizes, and available in tea, coffee. mocha and dinner sets. 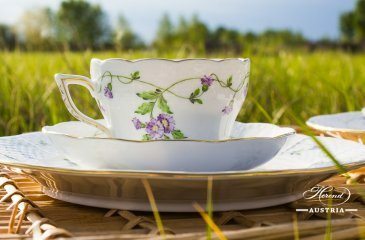 Nothing proves better the popularity of the new pattern than the fact a 45 pieces Royal Garden décor Herend dinner set was given to Prince William and Princess Catherine as a wedding gift by the state of Hungary on the 29th April 2011. 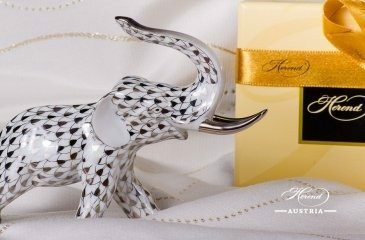 The extraordinary gift was created by the experts of Herend Porcelain Manufacture. The date of the wedding of the royal couple was painted on the back of the pieces of the dinner set which makes them even more unique. The set was given to the couple by Hungarian ambassador to the UK, János Csák. The couple also got a letter from then President of Hungary, Pál Schmitt stating that the gift is from the whole Hungarian nation, since it is a part of their cultural heritage and a real Hungaricum. If you have any questions about the Royal Garden decor, do not hesitate to contact us! 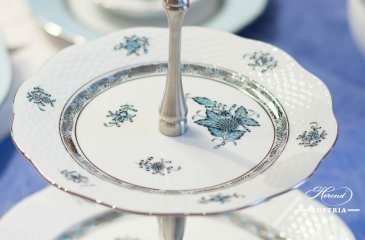 Read our blogposts for a better understanding of Herend Porcelain.